This scenario is where a physical server has Windows Server 2012 installed as a full installation and then the Hyper-V role is added. In the full installation option of Windows Server, the complete user interface and tools are present. This scenario is where a physical server has Windows Server 2012 installed as a core installation and then the Hyper-V role is added. 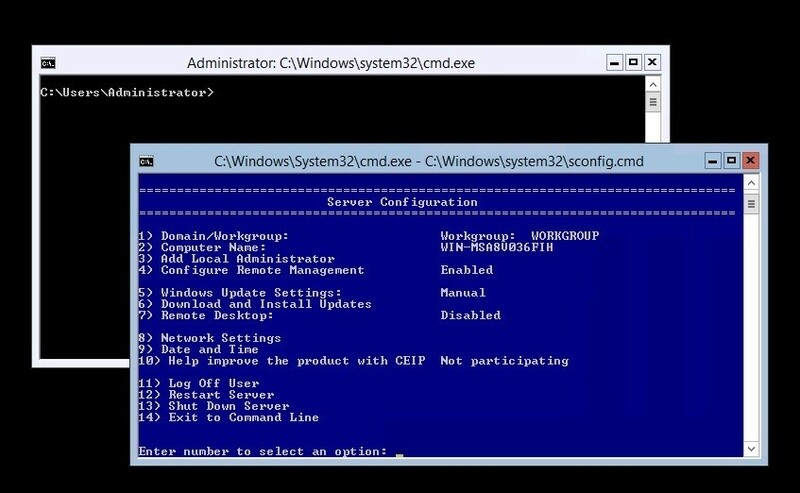 The core installation option of Windows Server has a limited on-console administrative interface. This is limited to PowerShell and the Command Prompt. Remote server administration (via the new Server Manager) and other remote techniques are fully supported on core installations. Management with Hyper-V Manager: The full installation could be on-console, all others would be remote. Inventory in System Center Virtual Machine Manager: This is critical for larger Hype-V installations to have a single management interface for all hosts. I’ve excluded the Hyper-V feature within Windows 8 as I want to keep this as a server discussion. With this information, VM admins may be stuck trying to determine what is the BEST way to deploy Hyper-V? Well, here are a few recommendations from my own virtualization practice. There are a lot of benefits to each option, and Microsoft has made public preference to the core installation option. This reduces storage, update footprint and other system resource utilization on the host. In my personal practice, I don’t usually find my virtual environments (or at least my hosts) storage capacity constrained. Storage performance is another discussion! I feel like we will always still need to do Windows Updates, or at least define an update window for maintenance reasons. Lastly, I’m not good at PowerShell. So, that means in a troubleshooting situation, I’d need to be comfortable in it. This means for me as a VM admin, I’d be best with the full installation of Windows (when this is an option) to run Hyper-V. In the podcast mentioned earlier, that was Aidan’s preference as well. Which do you see as the best way to deploy Hyper-V in the server capacity? Share your comments below!